Who knew that corporations and unions were entitled to the same right to free speech that individual citizens are? The US Supreme Court's decision in the Citizen United versus Federal Elections Commission case confirms that money is a form of political speech and is therefore protected by the First Amendment. This, in turn, throws open the financial floodgates to unfettered and unlimited corporate and union spending on candidate elections by overturning state and federal restrictions on electioneering and political campaigns. This ruling makes it easier for corporations and unions to run their own campaign advertisements on behalf of, or against, political candidates. President Obama called the decision a victory for big oil, Wall Street banks, health insurance companies and other powerful interests. iii. According to the official case record, Supreme Court Justice Morrison Remick Waite simply pronounced before the beginning of argument in the case: "The court does not wish to hear argument on the question whether the provision in the Fourteenth Amendment to the Constitution, which forbids a State to deny to any person within its jurisdiction the equal protection of the laws, applies to these corporations. We are all of opinion that it does." iv. Thus it was that a two-sentence assertion by a single judge elevated corporations to the status of persons under the law, preparing the way for the rise of global corporate rule, and thereby changing the course of US and human history. v. Since then, the US Supreme Court has handed out other human rights to artificial persons, ie, corporations, including the battery of First Amendment rights leading to the recent decision. 10. Corporations can divide themselves, shedding subsidiaries or affiliates that are controversial, have brought them negative publicity or pose liability threats. Individuals cannot divide. c. Interference with regulators' facility inspection rights. In its recent ruling, a sharply divided US Supreme Court, by a vote of five to four, struck down campaign finance laws going back many decades that had imposed limits on political contributions from corporations. The court overturned two earlier decisions and threw out parts of a 63-year-old law from 1947 that said companies and unions can be prohibited from using money from their general treasuries to produce and to run their own campaign advertisements urging the election or defeat of particular candidates by name. The ruling is also expected to apply to labour unions and activist groups. This will affect all American elections: school board, zoning commissions, state and municipal judges, state representatives, congressional delegates all the way up to the US President.
. Expect elected officials to henceforth represent corporations first and people second as they compete to serve in "public" office. In practice, big firms, sensitive to the feelings of many shareholders and customers, as well as the US Congress, would be less inclined to associate their marketing brand to a hard-hitting negative advertising calling for a candidate's defeat. Corporations -- small, medium or large -- may be more likely to funnel their cash to broad industry groups, and let them mount political campaigns that keep individual corporate fingerprints off the effort. Indeed, trade associations already weigh in politically; the court's decision will simply empower them to be more explicit closer to election day. Try as we might, we find it hard to fathom that corporations and unions are the same as individuals. Of course, people should have the right to donate to political campaigns, but multinational corporations are not people and they should not be afforded the same protections. When we give faceless organisations the same rights as human beings, we are diluting and cheapening the rights of the real people. Corporations are now free to throw their vast resources into the political arena and drown out the voices of voters. How democratic is that?
. Do corporations have a right to vote? If so, must they have been in operation for at least 18 years?
. At age 65, do corporations become eligible for Social Security and Medicare?
. Will corporations now be counted in the US census?
. 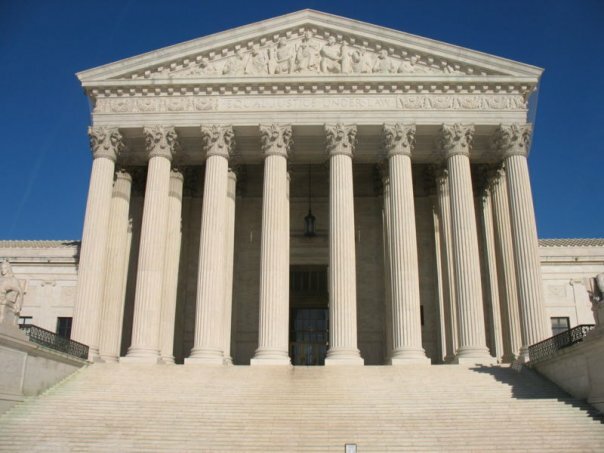 Are corporations now eligible for nomination to the US Supreme Court? Key Questions: In the coming 100 years, do distinguished ATCA members think humanity will look back on the recent US Supreme Court ruling with the same concern that we look back at the decision from 1886? Does granting corporations and unions the right to spend freely on political advertisements also have the potential to change the course of human history in an asymmetric way? What kind of government does one have if it is of, for, and by the corporations and unions and not just individual citizens?